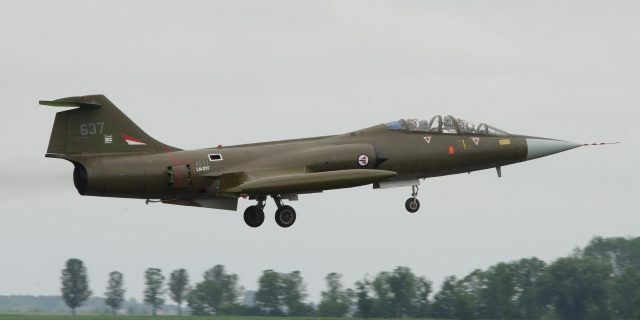 The only flying Starfighter in Europe, the CF-104D 104637, civil registrated "LN-STF" but former Norwegian Air Force "637" was star of the show at the Sola Air Show on June 9th. After this appearance it flew with its team to Aalborg Denmark, once a Starfighter operating airbase, for the airshow of June 10th. In spite of the weather Eskil was able to demonstrate the CF-104D in a great and professional way. 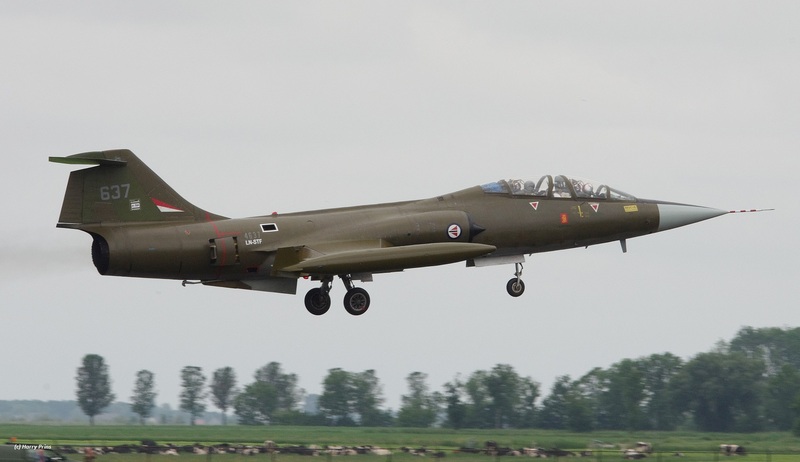 Next on the agenda was Leeuwarden Air Base, again an ex F-104 operating Air Base, in Holland to participate the 322 squadron 75 years anniversary on June 14th. It flew from Aalborg to Leeuwarden on June 11th when it arrived around lunch time with a wonderful low pass and circuit performance, entertaining hundreds of enthusiastic aviation lovers near the fence. Next stop is unsure now, most likely the aircraft will return to Norway around or on June 26th. Till then the aircraft will stay parked inside one of the HAS at Leeuwarden Air Base. Great job to all of you guys!!! We, aviation-minded people are very glad that on this side of the world finally is a flyworthy Starfighter again!!!! Many happy landings ‘Taz’!!! !